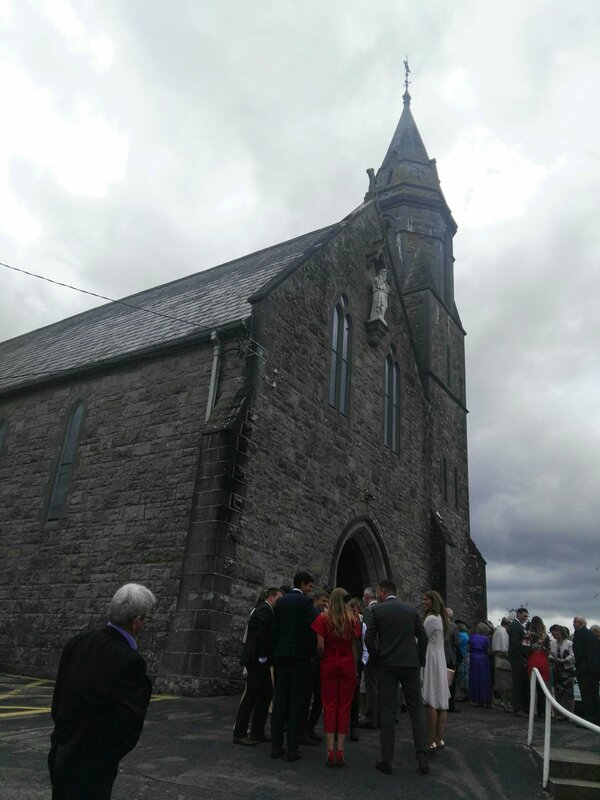 Grainne and Michael tied the knot in Foxford church. 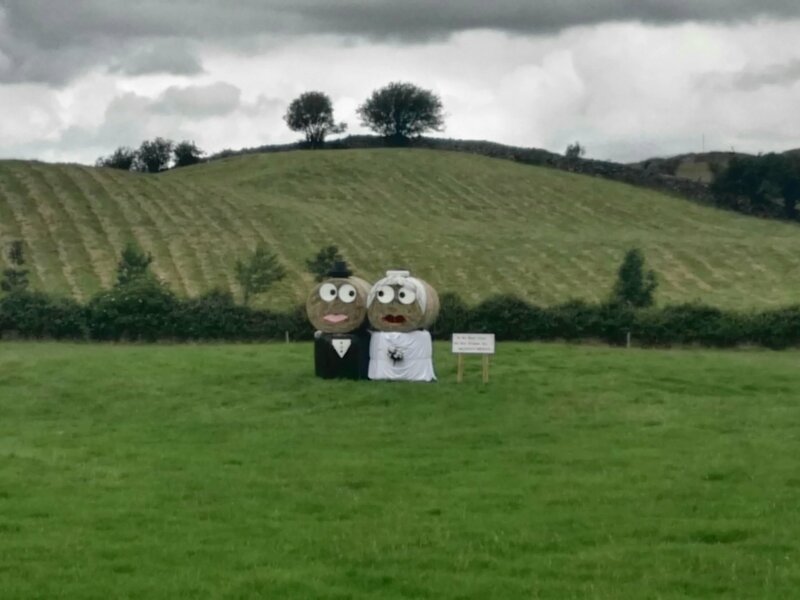 Even before I arrived at the church I could tell it was going to be a great day because as I was driving in towards the town I spotted a bride and groom made out of haystacks . What an absolutely fantastic idea and great way to welcome guests from abroad. 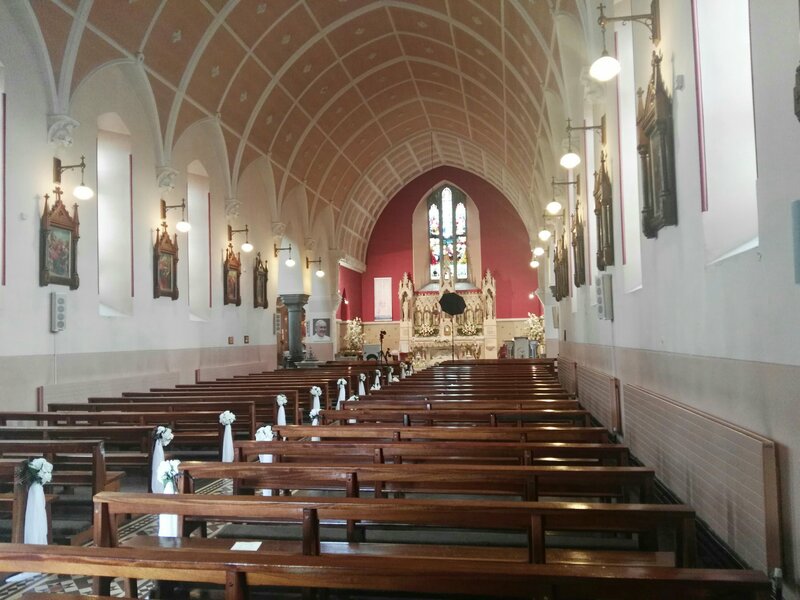 The Church itself is so beautiful and has a wonderful spacious gallery for musicians and singers. Another plus is that the stairs up to the gallery isn’t a death trap like many other churches. The gallery door was also unlocked for us. Its small things like this that make a singers life so much easier and it saves a lot of time for us also. Grainne Chose some wonderful songs for the ceremony. She walked up the aisle to the wedding classic ‘How Long will I love you’. The priest invited the couple to light the individual candle straight away so Mike kept playing whilst they did that and we ended the song after they had reached their seats. 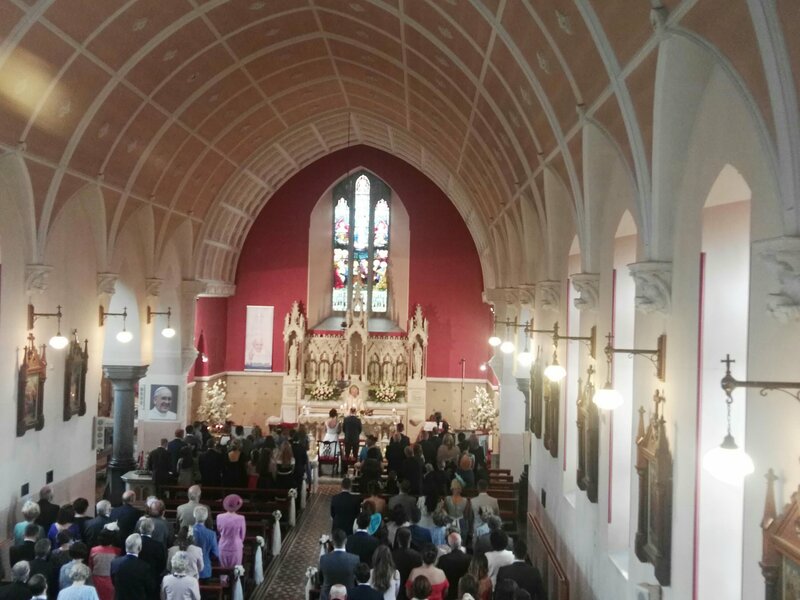 Grainne had picked ‘The Prayer’ for the individual candle but because the Priest did things a little differently we went along with what he was doing and continued with the entrance. We then included ‘The Prayer’ further on in the ceremony at communion time. 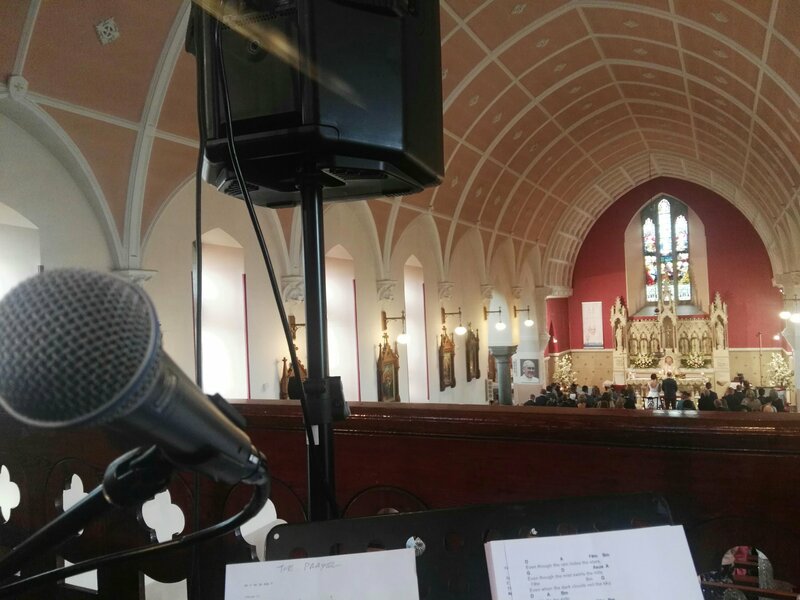 This happens sometimes where the musicians need to be adaptable with the Priest or Celebrant but also make sure that songs that the couple pick get performed. 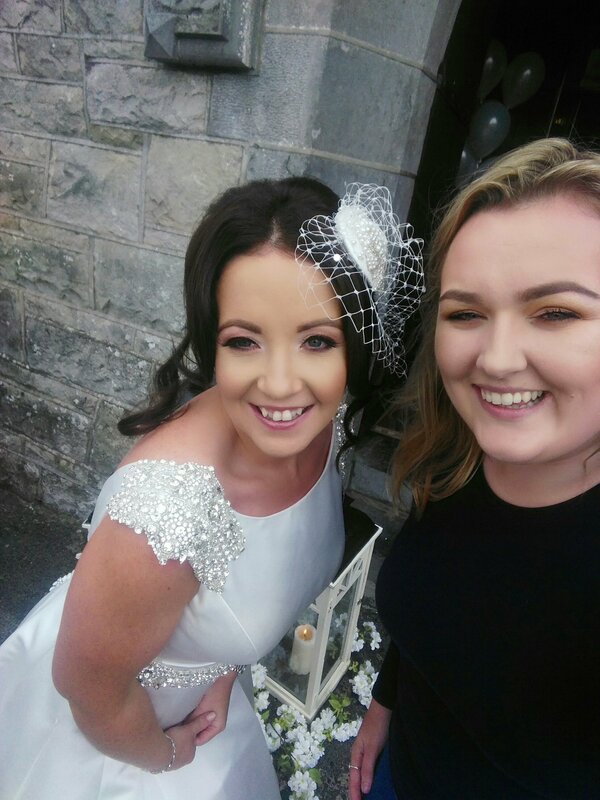 Communion – Still Falling for you, The Prayer, Beyond Rainbows End ( This was especially for Grainne’s Dad who has sadly passed away. It was a beautiful tribute. See the wonderful lyrics below. Yes I am waiting… just beyond the rainbow’s end. Signing of the Register – Every time we touch, Lucky (Jason Mraz) , Feeling Good. 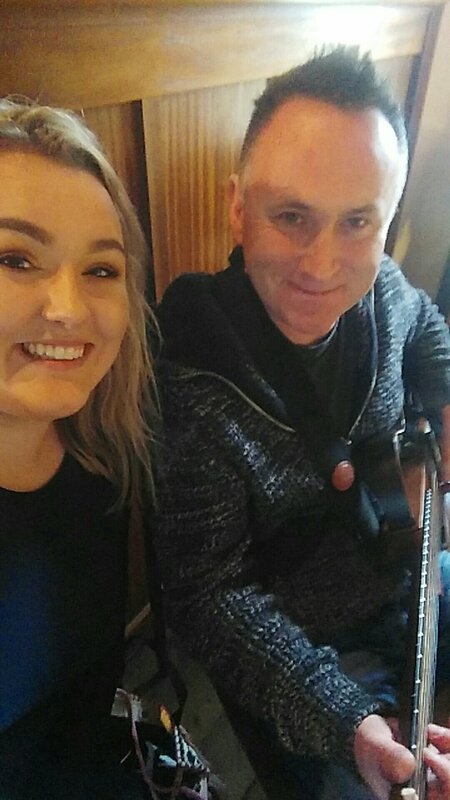 Thank you so much to Grainne and Michael for having myself and Mike provide the music for your special day. Also thank you for choosing such wonderful songs. Some of which I don’t know previous to this and am now delighted to add to my repertoire. Wishing you both a life time of happiness , love and most importantly laughter!